After the successful historic walk fundraisers, CRY UK invites you to the 3rd in the series of historic tours for child rights - a talk on the life of Noor Khan, the first South Asian woman spy. All proceeds of the event will be donated to CRY UK to support the cause of underprivileged children in India. Join us for an intriguing lecture on Noor Inayat Khan by Historian Shrabani Basu who will discuss her role, contribution and most importantly the spirit that moved her. 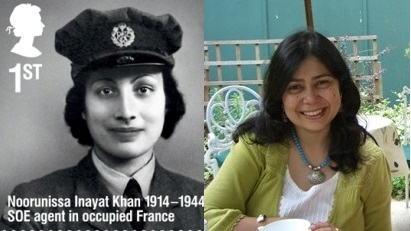 Noor, a descendant of Tipu Sultan, became the first woman radio operator to be infiltrated into occupied France in 1943 and worked under the code name 'Madeleine.' Britain has posthumously awarded her the George Cross for her extraordinary bravery, while the French government honoured her with the Croix de Guerre. Register now as we have limited seats available! All proceeds of the event will be donated to CRY UK to support the cause of underprivileged children in India.